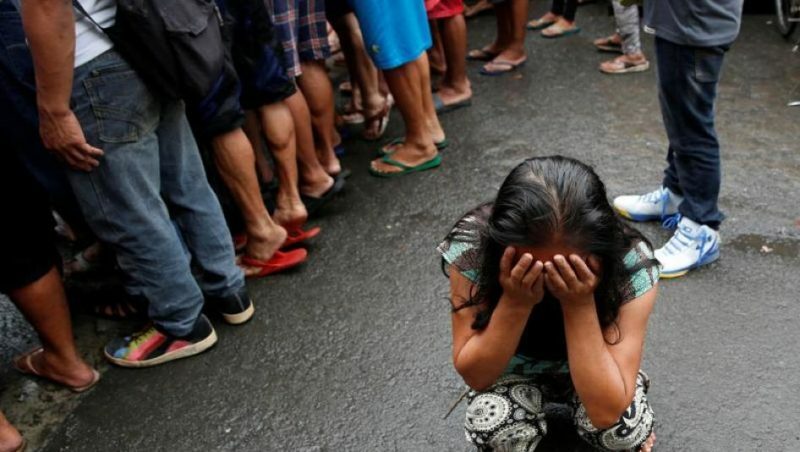 Thousands of people in the Philippines have died as a result of President Rodrigo Duterte’s brutal “war on drugs,” which have mostly targeted the country’s poorest people. Meanwhile, over 130 human rights defenders, mostly famers and indigenous peoples, have been killed since Duterte’s rise to power in 2016. Opposition leaders and journalists also were arrested. While Duterte’s deadly policies have been condemned by the international community, his popularity in the country remains high. What are the prospects of peace in the Philippines under Duterte? How do grassroots social movements advance the struggles for human rights under a culture of impunity? What are the consequences of U.S. foreign policy in the Philippines, a former colony, in promoting democracy in the country? Join us in this conversation with Filipina human rights defender, Cristina Palabay, and Prof. Nerve Macaspac of CUNY College of Staten Island. Cristina Palabay is the Secretary General of KARAPATAN Alliance for the Advancement of People’s Rights, a movement-based alliance of human rights organizations working for the promotion and protection of human rights in the Philippines. Established in 1995, KARAPATAN is a duly registered NGO with the Philippine Securities and Exchange Commission and co-convenes the Ecumenical Voice for Human Rights and Peace in the Philippines (EcuVoice) and the Philippine UPR Watch. It is a member of Civicus World Alliance for Citizen Participation, Forum Asia and the SOS-Torture Network of the World Organisation Against Torture (OMCT). As Secretary-General, Palabay engages with the United Nations Human Rights Council, European Parliament, various diplomatic missions, and international human rights organizations in gathering support for victims of human rights violations. She is a member of the Regional Council of the Asia Pacific Forum on Women, Law and Development and an advisor to the Urgent Action Fund for Women’s Rights – Asia Pacific. In 2018, Palabay was a finalist for the Martine Anstett French Human Rights Award. Nerve V. Macaspac is an Assistant Professor of Geography at the Department of Political Science and Global Affairs, CUNY College of Staten Island. His research focuses on community-led peace zones and peacebuilding. He received his PhD in Geography at the University of California, Los Angeles (UCLA). Nerve is a volunteer leader of Amnesty International USA, serving as the Country Specialist for the Philippines since 2011. He monitors the human rights situations in the country, develops action strategies, leads U.S. and foreign government advocacy, and mobilizes actions to promote and protect human rights in the Philippines. Amnesty International is a Nobel Peace Prize-winning human rights organization. This event is free and open to the public. It is sponsored by The Center for Place, Culture and Politics. This entry was posted in Discussion, Events and tagged colonization, democracy, human rights, internationalism, peace, Philippines by Esra Padgett. Bookmark the permalink.